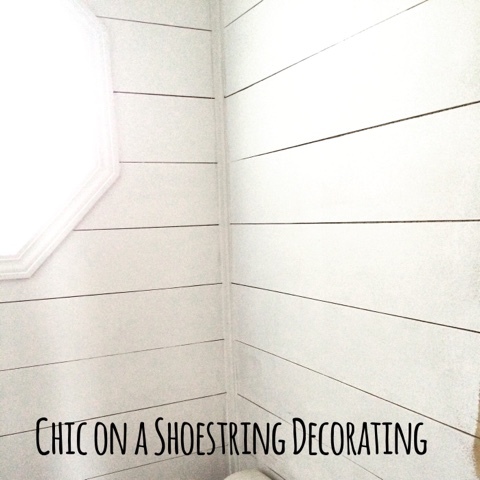 Chic on a Shoestring Decorating: Flaunt it Friday 286! Hey there, friends! Happy Friday! It's been a long time since we last partied together since we had 2 holidays in a row on Fridays, I've sure missed you! I hope you all had a lovely Christmas and New Year. I did and it's been tough getting back into the swing of things this week for my whole family... hard to get out of vacation mode. So glad it's Friday! We had a fun break and Mr. Chic had some extra time off and completed a shiplap project he'd been promising me. We have a lot of fun home projects planned for this year and I can't wait to share them all with you. Love the ship lay wall! Thanks for the party! Happy 2016 New Year Kate. Thank you for hosting Flaunt It Friday 286. A pleasure to visit and join in.